Which Education Initiatives Can Indiana Afford This Session? One of the first items on the agenda when the General Assembly returns next week is crafting a biennial budget. Legislative leaders have pledged to balance the budget this session without any tax increases – which could prove challenging, since requests submitted by several state agencies would require extra spending. State leaders say they’re cautiously optimistic about Indiana’s fiscal future after the new revenue forecast predicted a 2 percent to 3 percent growth in the next budget cycle. Two percent to 3 percent revenue growth in the next budget would mean more than $800 million over the next two years. What does this forecast mean for education? 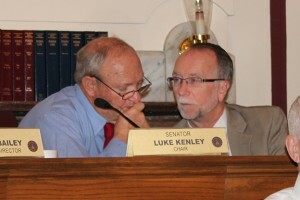 Senate Appropriations Chair Luke Kenley, R-Noblesville, calls the proposed initiatives ‘ambitious,’ and says they will have to be prioritized. Kenley says school funding will be a high priority. Along with Gov. 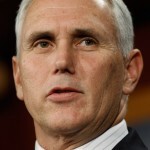 Pence, House Republicans emphasized the item in their own 2015 agenda – specifically, increasing base funding for K-12 education, and adjusting the school funding formula to address broad disparities in per-pupil funding at schools statewide. Kenley says he thinks the projected budget growth is enough to increase base funding. The legislature will also attempt to equalize the funding formula to eliminate imbalance. House Speaker Brian Bosma, R-Indianapolis, told The Indianapolis Star in October that the current funding formula creates a disparity of up to $4,000 per pupil that hits suburban and rural school districts the hardest. Kenley says figuring out logistics will take some time, and the end result may not satisfy all involved. The 2015 legislative session begins January 6.